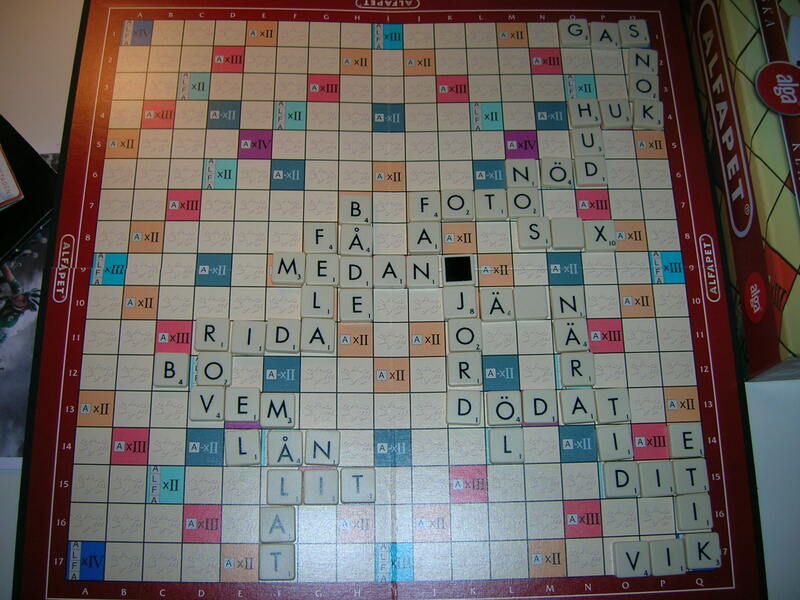 Alfapet is a Swedish Scrabble-like game. Being a Scrabble enthusiast, when I saw Alfapet cheap at Överskottsbolaget (kind of like Big Lots in the US), I had to buy it. I also figured I could persuade Kostia to play it with me, since it’s a bit different from Scrabble and we could start from scratch with the rules. The one and only time we played Scrabble in English, we got into a huge fight because the Russian version of Scrabble, Erudit, has very different rules, and Kostia didn’t like it when I insisted on the English Scrabble rules. A friend of mine, Jessica Berger, is doing a 20-mile walk and raising funds for the American Foundation for Suicide Prevention. You can help her reach her fundraising goal by clicking here. 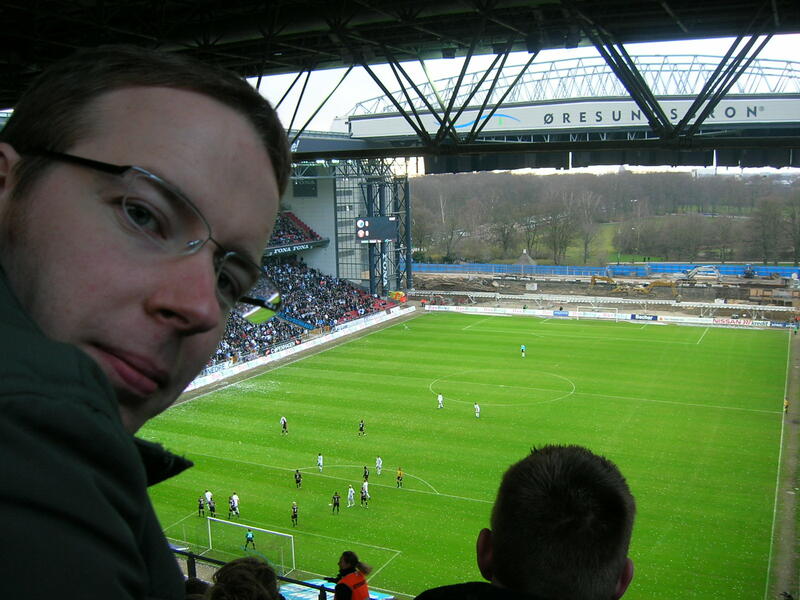 It’s cheating, since I’m in Falun and not St. Petersburg right now, but I needed a non-wintry header and I’ve always wanted to use this picture, which was taken exactly two years ago. 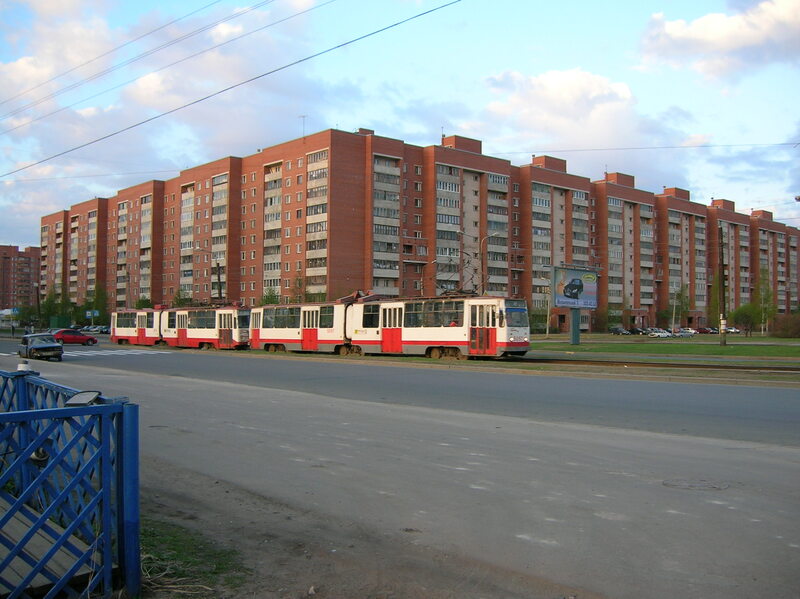 I love trams, even rickety St. Petersburg ones. And maybe this is a good time for some St. Petersburg nostalgia, since this is the time of year when St. Petersburg starts to feel very lovely and romantic after the long, cold, dark, dirty winter. I’ll attach the full picture below, so that when this post is just an archive and I’ve changed the header yet again, future readers will know what I’m talking about. So, our friend Eugene made it here and there has been plenty of drinking, plus some sightseeing. On Saturday we joined a trip organized for the international students by the student union. 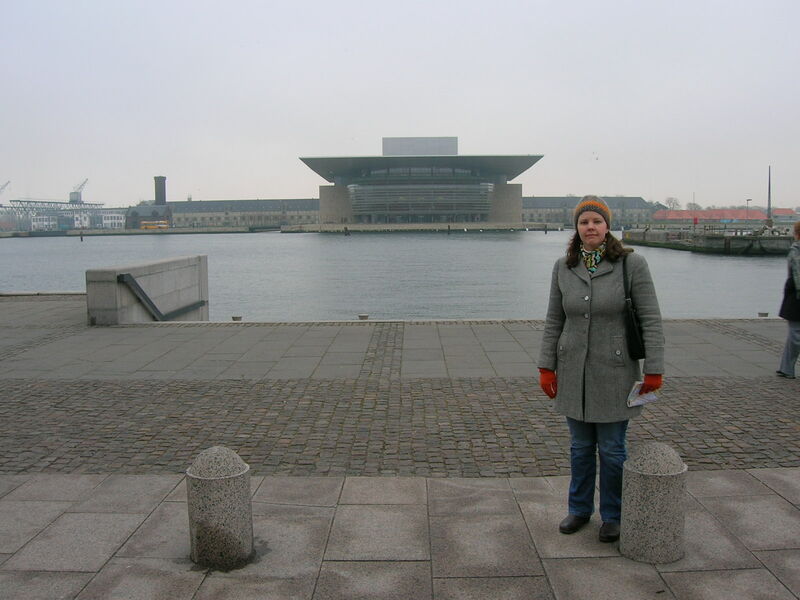 It followed a route similar to the one Aunt Kelly, my sister Emily, and I drove last May, but in addition to Rättvik, the Dala Horse factory, Mora and the gates of Tomteland, we actually went inside Tomteland. 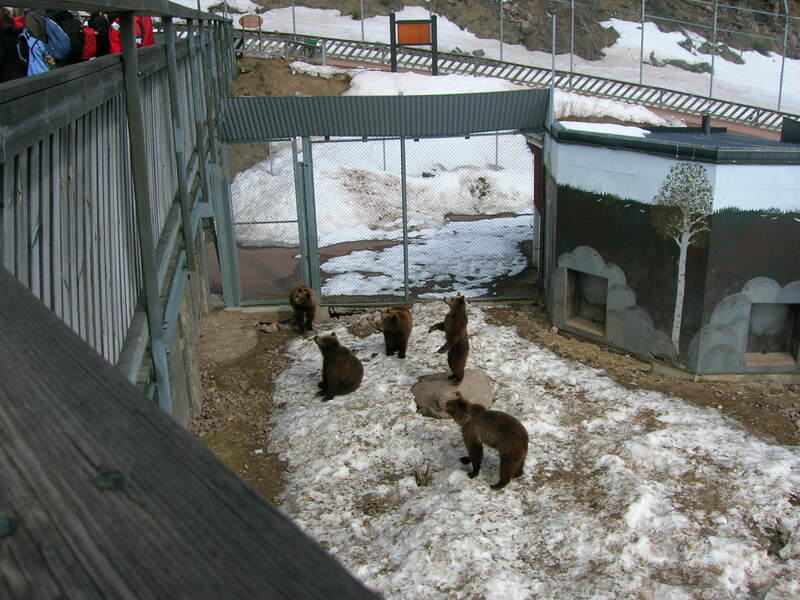 And we went to Orsa Bear Park, which was probably the best part of all. 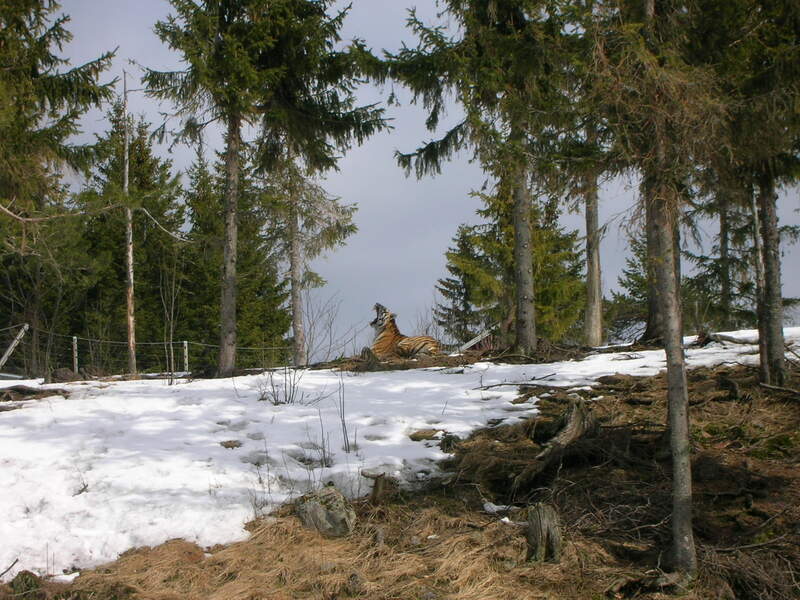 We saw bears, wolves, lynxes, a wolverine and a tiger. 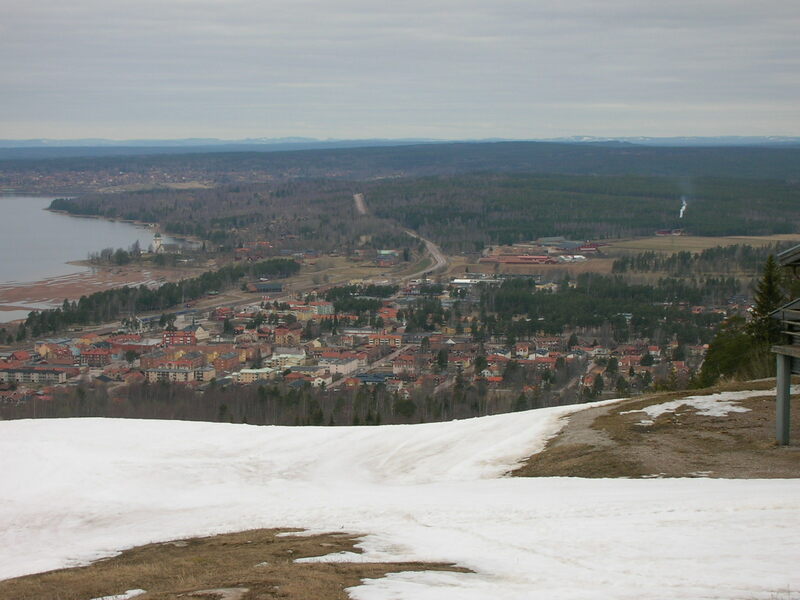 Yes, there is still snow in northern Dalarna County. 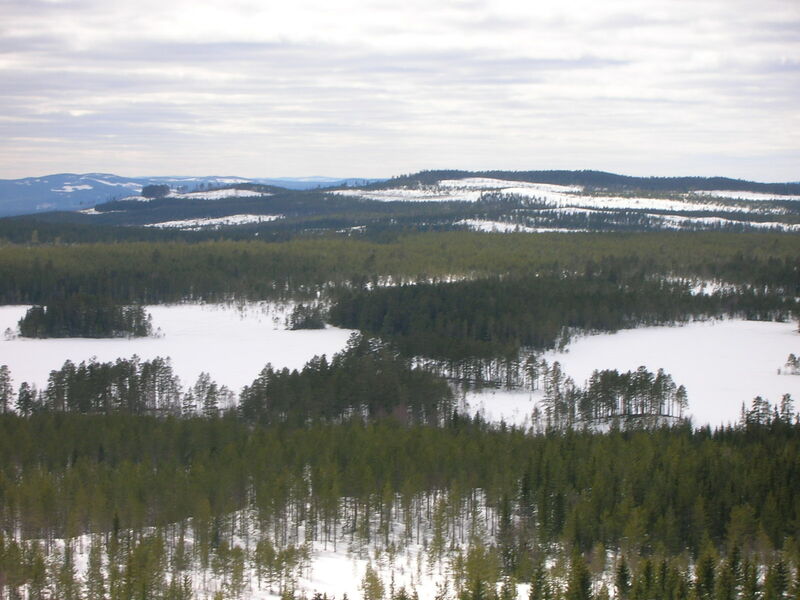 But fortunately it seems to be gone from Falun. 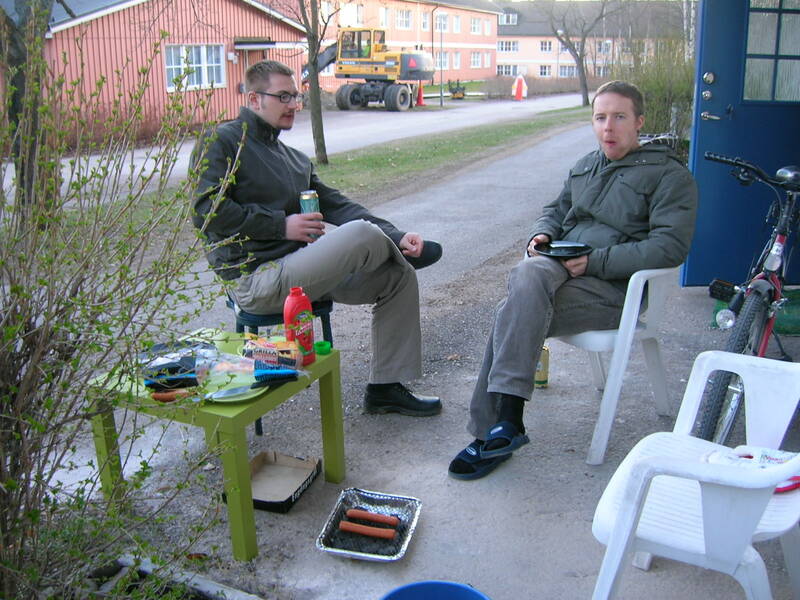 Today I bought an engångsgrill (one time grill) and we had a little barbeque on our patio. Kostia: There was a problem with Eugene’s ticket. He’s arriving tomorrow instead. Me: Oh no! Can we still get drunk tonight? In Russia there is this amazing breakfast cereal, podushechki (little pillows). There are probably similar things in the U.S., but I am conditioned by my stern upbringing not to purchase “sugar cereal” at home. When you’re in another country, however, you are totally allowed to eat things that are bad for you which is why I’m an expat. Anyway, podushechki are crispy little things with goo of various flavors inside, and the goo is probably laced with crack which makes it impossible not to eat the entire box in one sitting. At the little shopping center near the last place we lived in St. Petersburg, you could buy them by the kilo. Damn. It’s pretty and all, and I suppose it looks nicer than the brown-gray of early spring, but hello? It is April the freaking 10th. 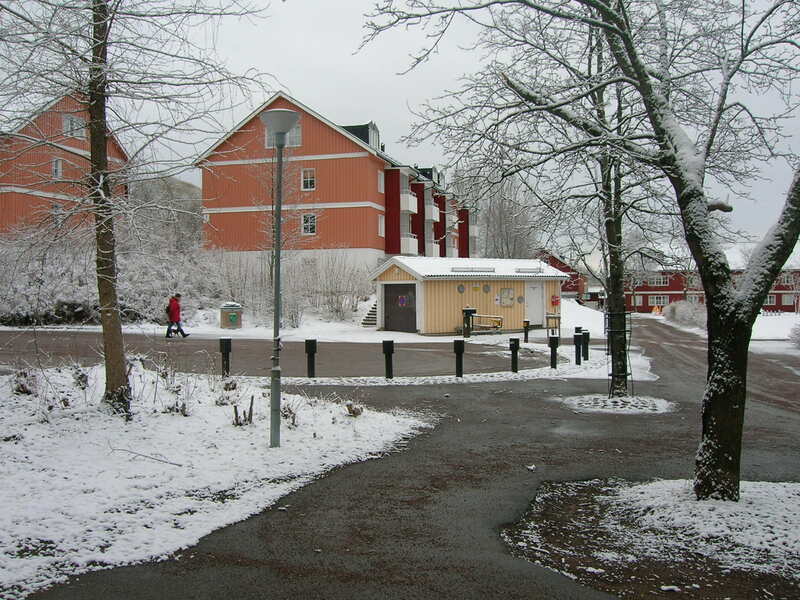 OK, OK, I know I’m living in central Sweden by choice, and as the guy bagging his groceries next to me in the Hemköp this afternoon said to the cashier, “It’s normal April weather.” Even so, I got up the guts to talk to strangers in Swedish in order to say “Not for me it’s not”. Though, to be completely honest, there can be freak April snowstorms in most of the places I’ve lived (Upstate NY, Massachusetts, Chicago, Michigan) and I have spent several winter/springs in St. Petersburg… so what’s my point here? I just want it to be spring already. 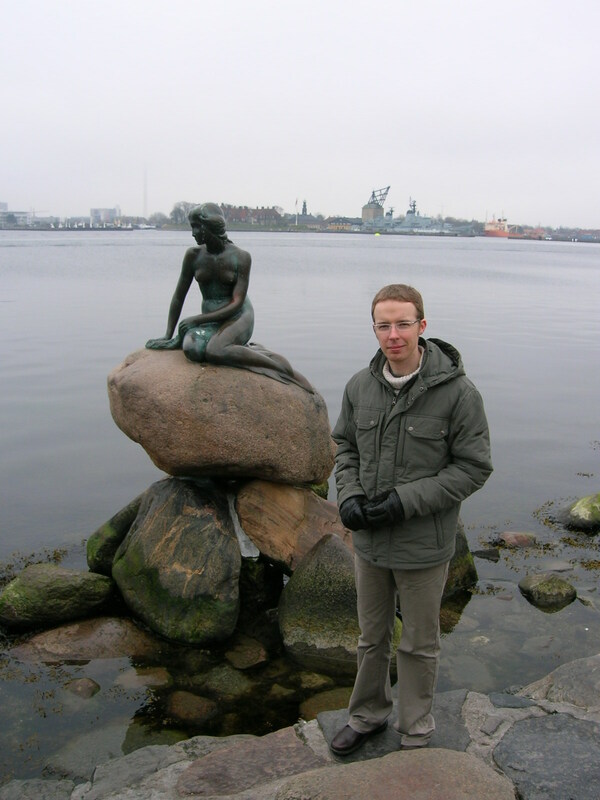 Kostia and I went to Copenhagen for the weekend. My cousin Maureen is doing an internship there this year. 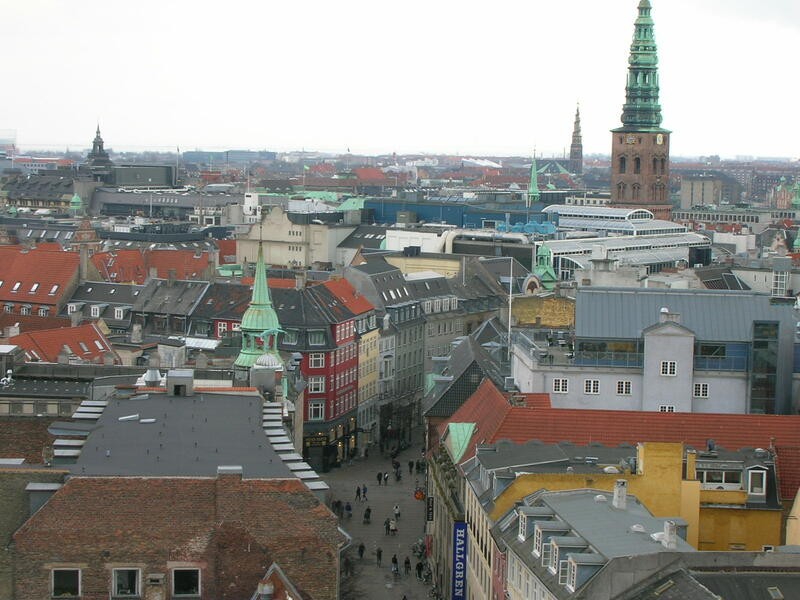 I’d been to Copenhagen a couple times before, but it was Kostia’s first time in Denmark. 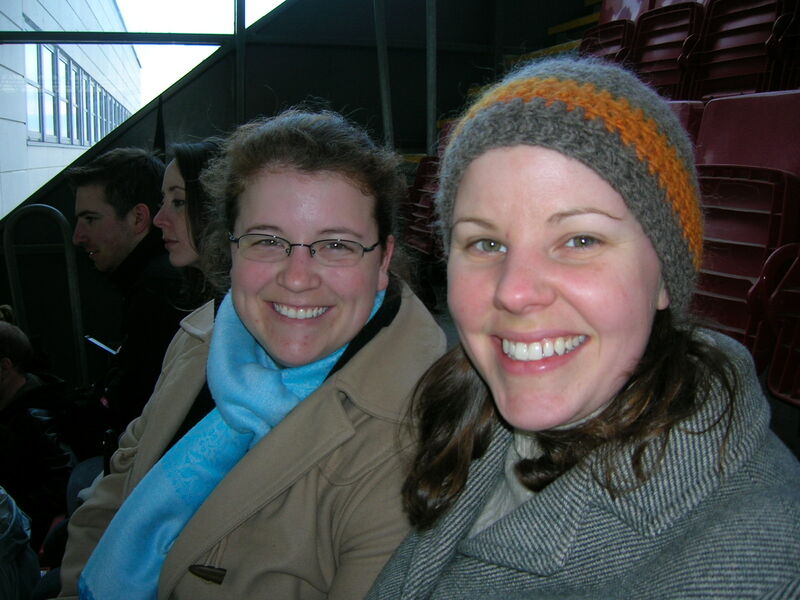 We did a lot of walking, saw Kate Nash in concert (she was pretty good, but the more exciting thing was discovering her opening band, Mystery Jets), went to the sort of pathetic Tycho Brahe Planetarium, and went to a football (soccer) match. We bought books and hard liquor, both of which are significantly cheaper in Denmark than in Sweden. One of the books we bought was The Sound of Language by Amulya Malladi, a novel about a refugee’s experience in Denmark. It’s a nice book, if a bit predictable. I recommend it for some meaningful light reading, if you know what I mean. The weather was spring-like in Copenhagen, if not terribly warm, so it was a bit of a shock to wake up from a train nap about an hour away from Falun, look out the window, and see that we were in the middle of a snowstorm. Sigh. Spring must be officially here. Yesterday they started sucking up all the little rocks they put all over the roads and sidewalks for traction on the ice here in Falun. While less damaging than salt and more aesthetically pleasing than sand, some people find these little rocks annoying. They’re pretty hard on the soles of your shoes and they’re not much fun to walk or bike on. So it’s a doubly happy event when they get cleaned up – more pleasant walking, and a sure sign of spring!